When Quinn Duffy told us to put our cameras away, before he led us through Relic Entertainment studios in Vancouver, we hoped to see some great new stuff being developed for Company of Heroes 2. About half way through the tour, we came to a room that was alive with commotion. Out of the many desks in the room, each with a developer diligently working away, four of them were literally popping with energy and the frenetic clicking of mouse and keyboard. Four of the devs were battling like mad dogs. But what map is that? Wait a second, I recognize that minimap. Is it really... Langres on COH2? Awe hell yeah! 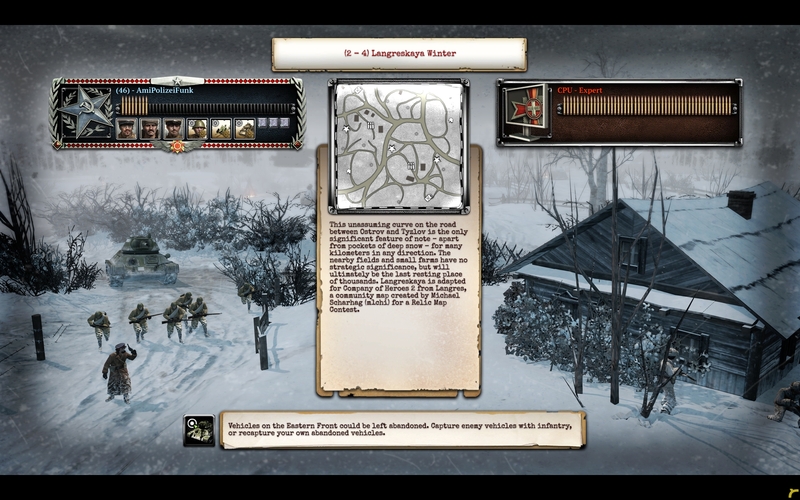 Tomorrow's patch will introduce "Langreskaya" to Company of Heroes 2, in both Summer and Winter forms. This is a new version of the competition map from COH1, originally created by community map-maker Micheal "m1cHi" Scharhag, that we have seen in countless tournaments and Sunday Night Fights bouts. The original map was a member of the "Big 3" (Semois, Angoville, Langres), known affectionately as simply "SemAngLang." 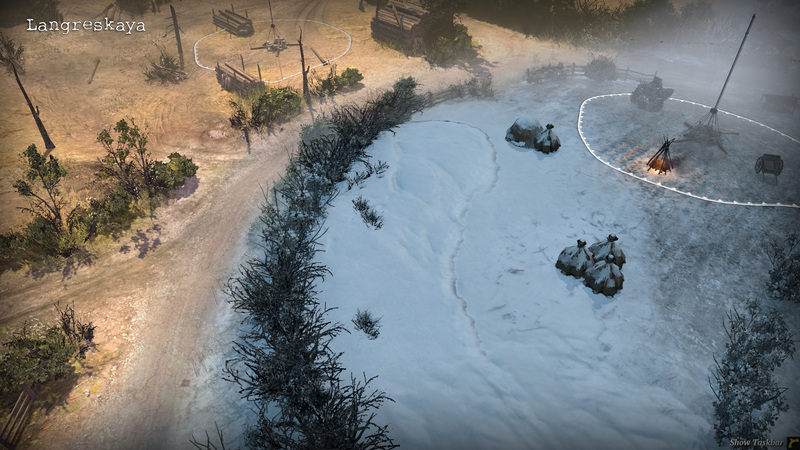 The map has been revamped by the Relic team to fit the Eastern Front. It's got new houses, huge hay barrels, and gorgeous terrain textures. We are thrilled to welcome this classic map back into the pool. "Langreskaya" is playable in both 1v1 and 2v2 formats in custom games, but will only be introduced in automatch for 1v1. A great decision by Relic! We look forward to some fantastic battles, which will surely be featured on upcoming Livestreams, Vods, and in our Replays section. Good luck achieving the Langrekayas pin! It ain't so easy with M3s and Scout Cars running around! 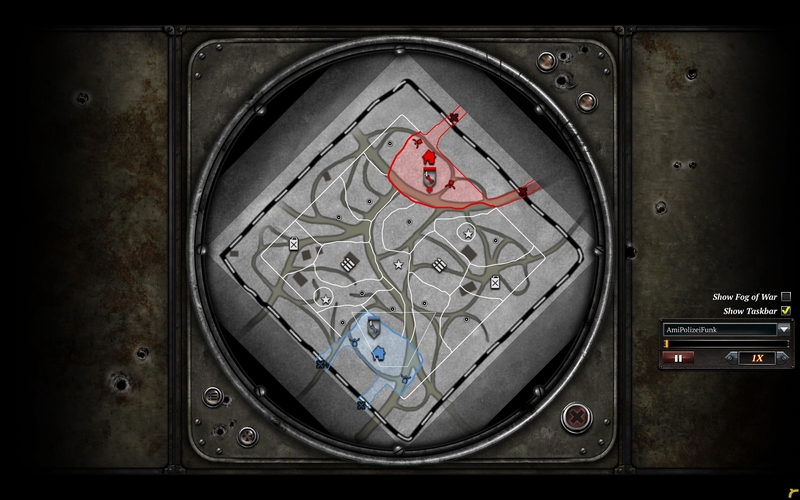 Look for a for-fun 1v1 Langreskaya-only tournament announcement on the portal tomorrow. And keep your weekend open, August 3rd and 4th. The rest of the patch notes, including highly requested adjustments to Strafes, MGs, Hit the Dirt, and the Opel Blitz Truck, can be found after the pics. The following abilities had their command point (CP) cost reduced to increase commander appeal. 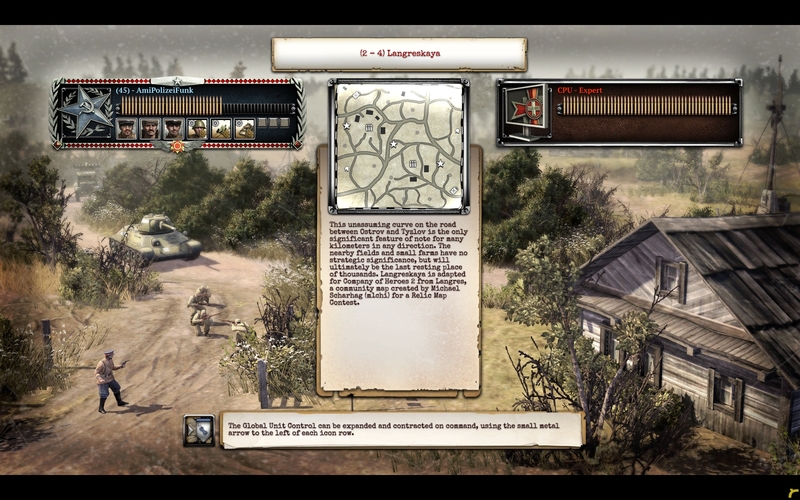 In contrast to the majority of Soviet Commanders a number of German doctrines did not have abilities available at 1 CP. 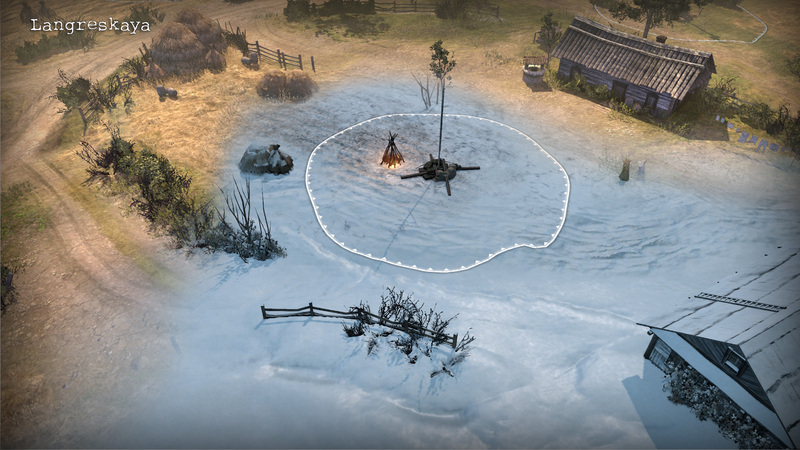 The following changes were made to improve the usability of Rapid Conscription and Relief Infantry. Overall, it was very difficult to recover your cost on investment to both abilities due to their relatively low duration time. The goal was to increase the rate at which players could recover their cost and provide a possibility to earn back more than the initial resource investment. Previously, Hit the Dirt had the capacity to have its modifier stack with cover. This led to extremely durable units at very little cost to the user. It also impacted many of our combat systems, leading to inconsistent or undesirable behavior such as snipers missing the infantry. Hit the dirt now provides light cover rather than a 0.5 received accuracy modifier. The JU-87D Strafing Run now functions as a suppression ability. The loiter behavior was modified to improve the visuals of the off-map and make it more susceptible to anti-air weapons. Previously, the cargo truck was multiplying a sectors value by a factor of 2. This resulted in extreme edge cases where fuel and munition incomes were higher than expected. To resolve this, supply trucks will only add a set amount of resources to sectors. The following units had their scatter distance refactored to better match their performance and design. Higher scatter values generally implies weapons are less accurate. Command tank now properly validates, this prevents the user from using the call in when they are near max pop. Incendiary barrage duration now better matches its deployment time. 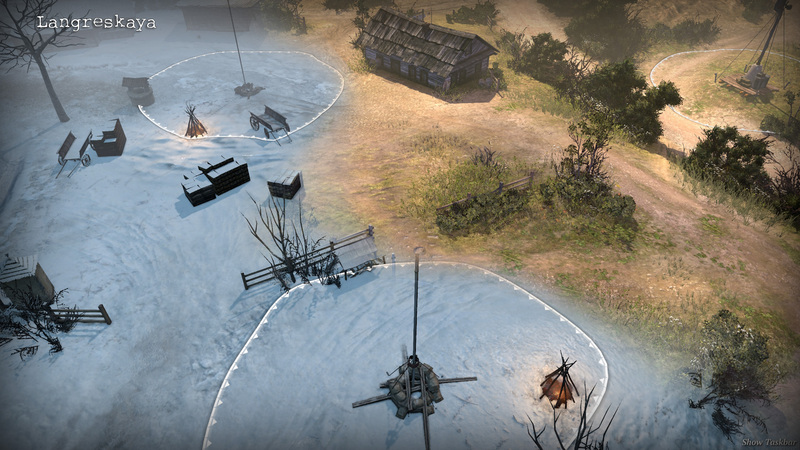 What do you think of the new maps and the balance changes? Tell us in the comments below.